Gatesville Animal Shelter Adoption Event! 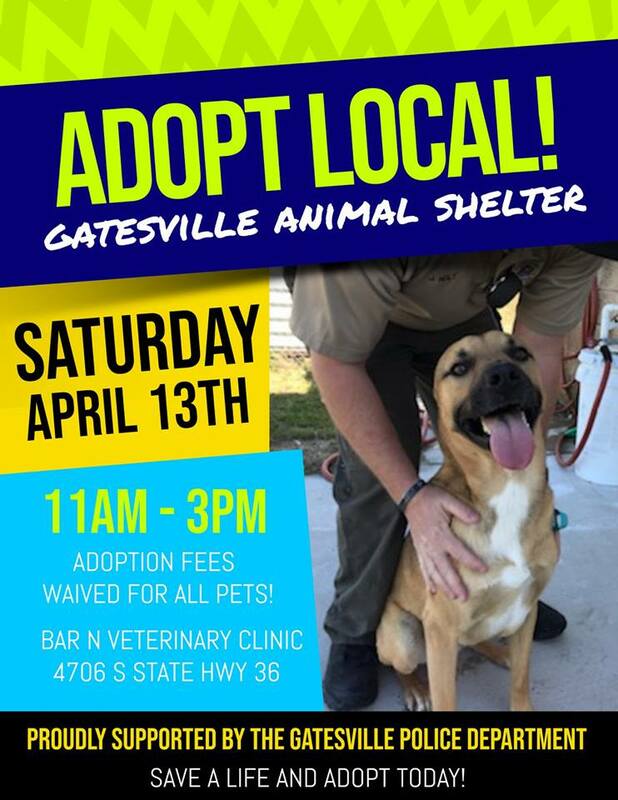 Come out and see the dogs up for adoption from our local Gatesville Animal Shelter – 11 am to 3 pm! We will be under the awning next door to Bar N Veterinary Clinic this Saturday 13th!!! Every dog that is adopted from this event will get a FREE Rabies and Distemper/Parvo vaccination and receive 50% OFF spay and/or neuter surgery for their adopted dog at Bar N Veterinary Clinic with proof of adoption!